Climate Conversations – a series of discussions between trade unions, businesses, politicians, civil society and the public – sets out to discuss the right choices for Ireland. The second session was entitled “A New Economy” and that in itself indicates the scale of the challenge. With studies showing that environmental catastrophe will be inevitable unless the vast majority of fossil fuels are left unused, it seems there is no responsible choice other than to decarbonise our economies. 2015 is a crucial year for action on climate change. The UN Climate Change Conference (COP 21) in Paris in December will attempt – once again – to draft a global legally-binding agreement after twenty years of unsuccessful negotiations. In the meantime, individual countries – Ireland included – are drawing up their own national climate plans. Whatever the frustration, this is a year in which there is huge opportunity for influencing and strengthening the political will to achieve that goal. 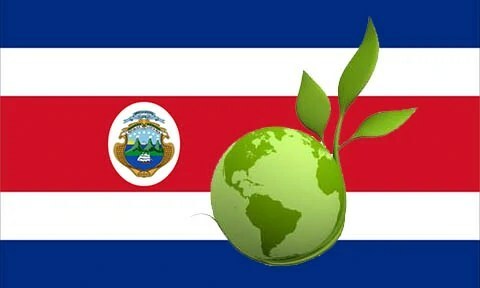 In the same vein, it was recently reported that Costa Rica had derived all its energy from renewable energy sources, with no fossil fuel use whatsoever, for 75 days straight. A carbon-free economy, it would seem, is not just a future fantasy. It is possible. Sharan Burrow of the International Trade Union Confederation gave a projection of “a shared future where we have the collective will to take action.” and hold global temperature increases to 2 degrees. It was not a utopian vision she presented – a 22nd century where climate change has “dramatically changed the patterns of life and livelihoods for many” and where most people live in megacities – but it is a world in which mass transit is run on clean energy, public spaces have been reforested, workplaces reintegrate waste back into production, technology is shared as a common good and a just technological transition to low-carbon economies has safeguarded industrial jobs. It is not inconceivable. What such an outcome requires is the will to think differently, to “reframe the narrative” as social entrepreneur Clare Mulvany put it, to take risks and creatively explore scalable solutions. More, it requires the integration of “human development, economic development and environmental development”. This was a point underscored by Gabriel D’arcy, head of the Town of Monaghan Co-op and former CEO of Bórd na Móna: “When environmentalists speak of sustainability, the economic people – the guys running for profit – turn off, and a lot of the social folk turn off.” He stressed a need for a concept of sustainability that is common and in the interests of all sectors. Here’s where we get back to the frustration of and clashing interests and tepid political will. Right now, Ireland faces some critical considerations about how to redevelop its recovering economy, and there will be understandably stiff resistance from some quarters. Methane vs milk – a dilemma for a new Irish economy? The end of dairy quotas this month has been widely hailed as a huge boon rural Ireland – but there has been little mention of how we can balance a the resulting expansion of one of our most greenhouse-gas-emitting industries with our commitments to drastically reduce such emissions. Tonight, the third Climate Conversation will focus on sustainable use of our land, and I expect that issue will be passionately thrashed out. Responding to climate change is going to present many very difficult dilemmas, and they are dilemmas we cannot afford to ignore any longer. But as many speakers at the second session pointed out, there are also many opportunities in the restructuring of our economies. 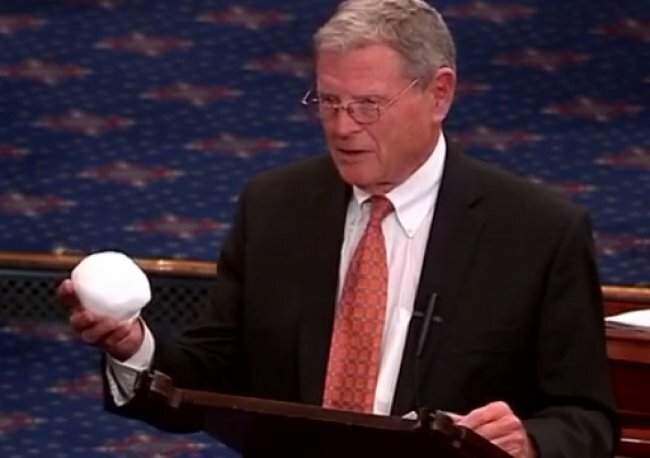 Regardless of the stubborn oversimplifications of self-interested deniers like Jim Inhofe, climate change manifests itself in different ways in different places. As California is suffering a four-year drought, in Ireland, according to Prof John Sweeney of NUI Maynooth, we can expect rainfall to increase 11% by 2070 – a dour prediction for our rainsoaked land. But – at a time when the value of water is to the forefront of everyone’s minds – that also presents the opportunity to harvest and treat that rain and to feed it back into water-dependent industries. It just takes a different way of thinking about all the aspects of our economies, and new approach to how we structure them. That is possible – difficult, yes but “feasible if we make the right choices – and start making them now“. Climate Conversations III – The Sustainable Use of Our Land takes place at 7pm tonight in the Guinness Storehouse. You can register here or follow the live stream online here.